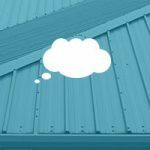 When having your flat roof repaired or installed, the question of insulation methods will inevitably arise. Your two main options for effective insulation of your property are a cold flat roof, or warm flat roof design. 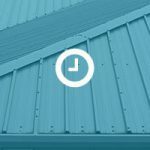 Whilst cold flat roofs were the most commonly used method of insulation, changes in the way we live – increased time spent inside, an increase in internal washing and cooking areas – meant that the additional water vapour needed to be addressed. 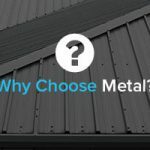 This is why warm flat roof designs are commonly regarded as the preferred, and more effective, design. 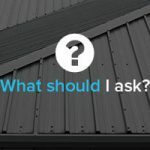 In this article we discuss the pros and cons of both roof designs. Notes: It is most important to note the vapour barrier must be a continuous vapour barrier with no puncture points. It is also worth noting if down lighters are to be considered in any way, the correct insulated type are used and the vapour barrier must be re-sealed to accommodate for a complete seal. 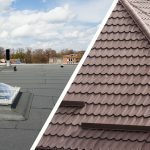 The main principle for a warm roof design is that the insulating layer is located above the timber rafters, or above and between the structural supports, resulting in the roof and loft area being at a similar temperature to the interior of the building. 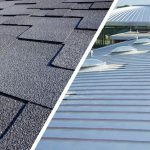 Warm roof designs will make the entire structure of the building warm in order to avoid cold bridging – an element of the building that allows heat or energy loss. The alternative roofing insulation design places the insulation layer between, or under the timber rafters – level with the ceiling joist. 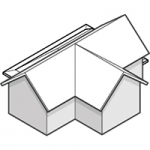 This therefore leaves the roof and timbers cold, requiring a breathable membrane between the insulation and roof structure. 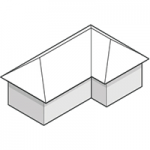 The requirement for roof void ventilation in cold roofing designs means it is generally not recommended as a design for new build flat roofs.